NHS Highland is committed to providing person centred care to improve the quality of our care to every person every day. 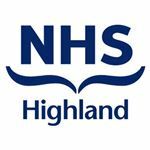 We are looking for staff to join the Integrated NHS Highland Nurse Bank who have the right skills, experience and attitude to be considered to work flexibly across a variety of settings covered by the Nurse Bank as detailed below. 1. Raigmore Hospital – NHS Highlands only District General Hospital and is located in Inverness. Raigmore Hospital currently has 452 beds & covers Medical, Surgical, Outpatients, ITU/CCU/SHDU/MHDU and Theatres. 2. Community and Community Hospitals – County Community Hospital, Invergordon. Highland Rheumatolgy Unit, Dingwall. Ross Memorial Hospital, Dingwall. Ian Charles Community Hospital, Grantown on Spey. Nairn Town & County Hospital, Nairn. RNI Community Hospital, Inverness. St Vincents Hospital, Kingussie. Please complete the attached pro forma and return with your completed application. Short-listed applicants will be contacted by email, unless otherwise stated. Please check your emails regularly, including your junk/spam folder.